Chubby Checker, yes THAT Chubby Checker brings his #1 hit “The Twist” to The Egyptian Theatre on Main Street for four nights (Thurs – Sun). Don’t miss seeing a legend live, including an opportunity to show off your twisting skills on stage with Chubby himself. If you’ve ever wanted to try your hand at ceramics, Kimball Art Center offers an open clay studio event each Friday. Perfect for first-timers, you’ll begin with a wheel throwing demonstration (don’t worry, it’s much easier than it sounds), and can then create anything you wish. Space is limited, so it may be a worth a call before heading over. I, Tonya, the life story of figure skater Tonya Harding, plays for three nights (Fri-Sun) at the Jim Sandy Auditorium. The film, directed by Craig Gillespie, covers everything from Harding’s Olympic career to her life following the attack on fellow skater Nancy Kerrigan. President’s Day is roughly the mid-point of the ski season. So, if you haven’t done it yet, book a day of heli-skiing with Wasatch Powderbird Guides. 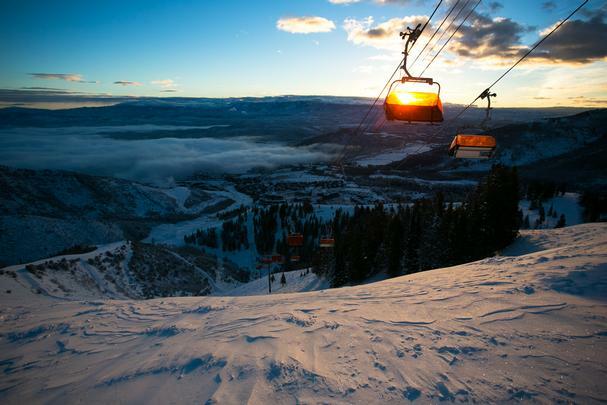 With locations at Snowbird Resort and in Park City, Powderbird’s gets you to the goods – fast! No Name Saloon, Butcher’s Chop House & Bar, and Boneyard & Wine Dive will be airing the games at all three locations. Butcher’s does have a 166″ projector screen as well. The Eating Establishment will be airing the Olympics on all three of their TVs, from opening to closing ceremonies. Fletchers will have the Olympics on as well, with the lounge being a great place to watch the Games. Deer Valley Resort will have TV’s set up in the EBS lounge, and also the clock room for viewing anytime. Versante at Park City Peaks Hotel will offer food and drink specials during the Games, with live action on several TV’s. Billy Blanco’s (at the Jeremy Ranch exit) will be showing all the Olympic action on their 8+ large HDTVs.